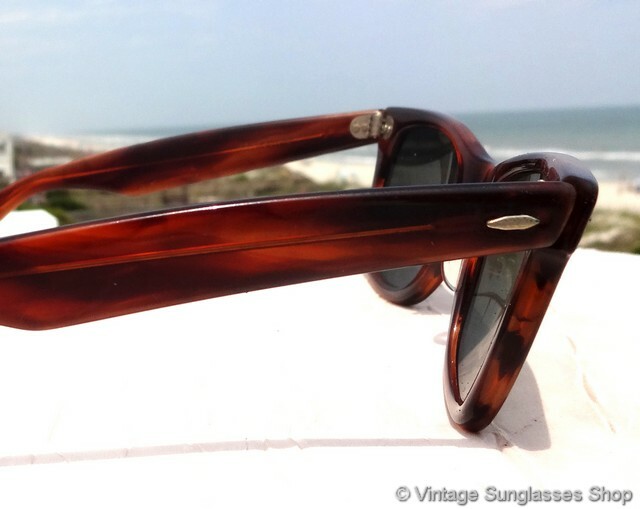 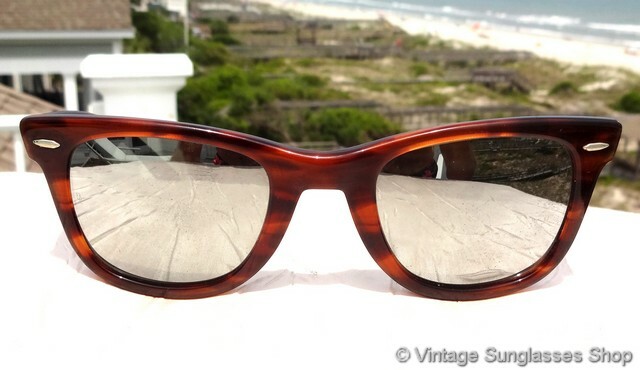 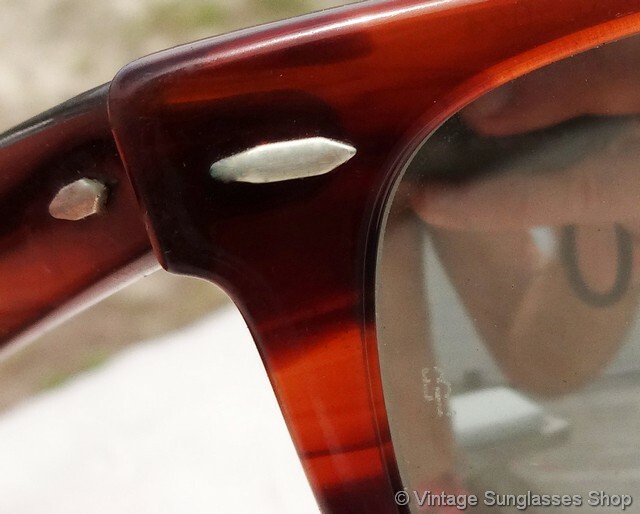 1 Vintage B&L Ray-Ban 5022 mirrored Wayfarer sunglasses feature rare, fully mirrored Ray-Ban lenses in the tortoise shell Wayfarer 5022 frame. 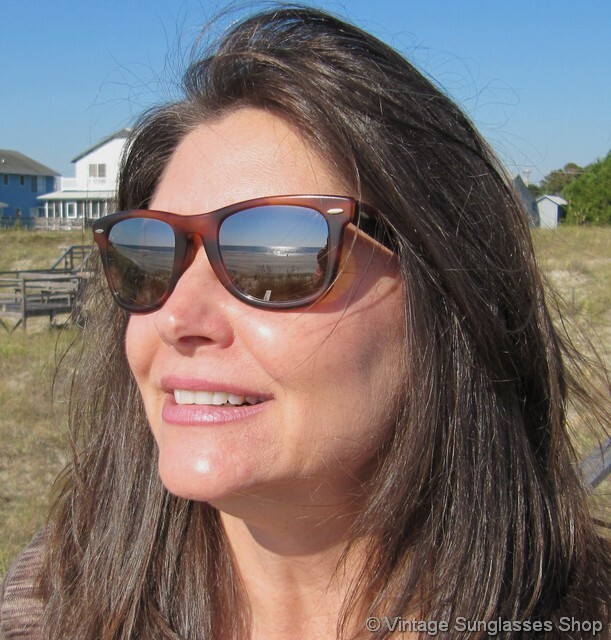 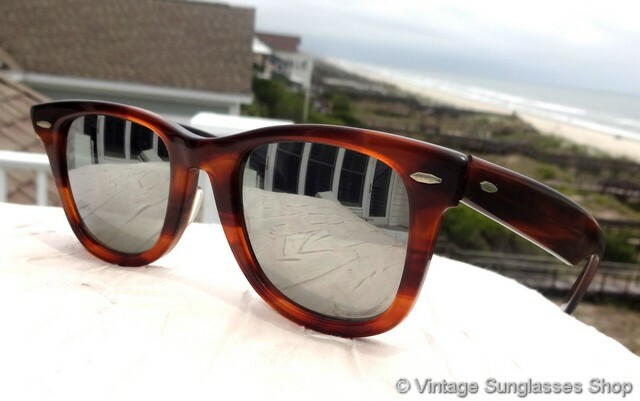 It's highly unlikely anyone else in your area will have vintage mirrored Wayfarers, and it's a look that's hard to beat combining the classic Wayfarer shape with B&L silver mirrored lenses. 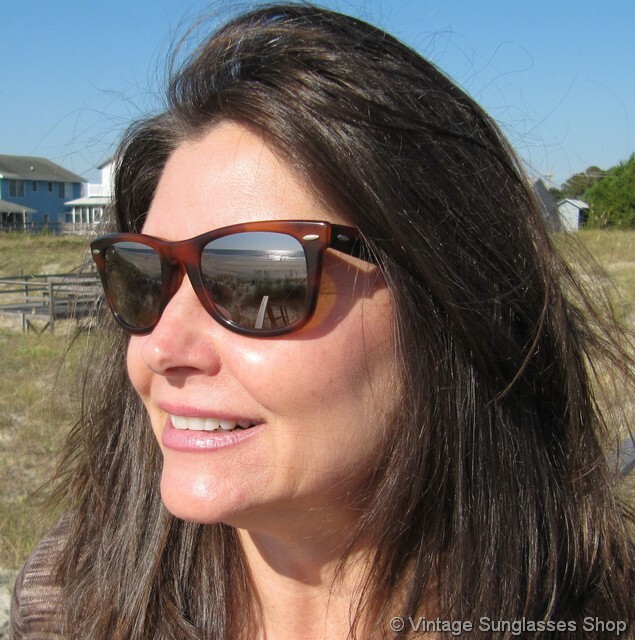 The tortoise shell Wayfarer frame makes a great complement to the mirrored lenses, and it's a good unisex size measuring approximately 5.5" temple to temple with lenses measuring approximately 1.875" x 1.75" at the widest points. 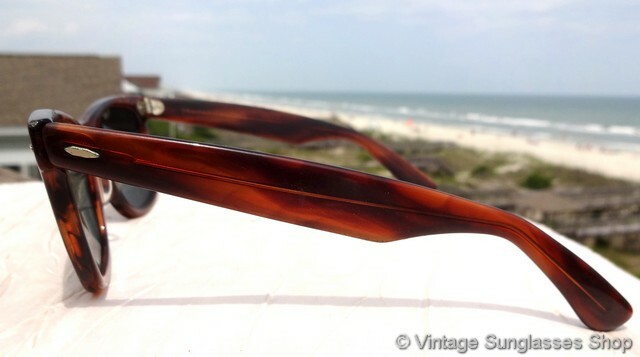 Bausch & Lomb mirrored lenses from this period are laser etched BL at the top center of the lenses or near the hinge points, and one ear stem is marked Wayfarer while the other stem is marked B&L Ray-Ban USA. 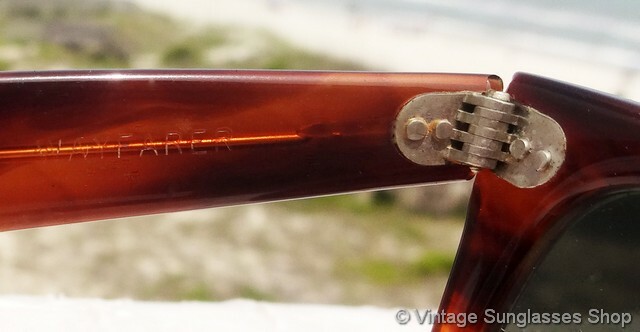 The frame is also marked B&L 5022 impressed in the rear of the frame above the right lens. 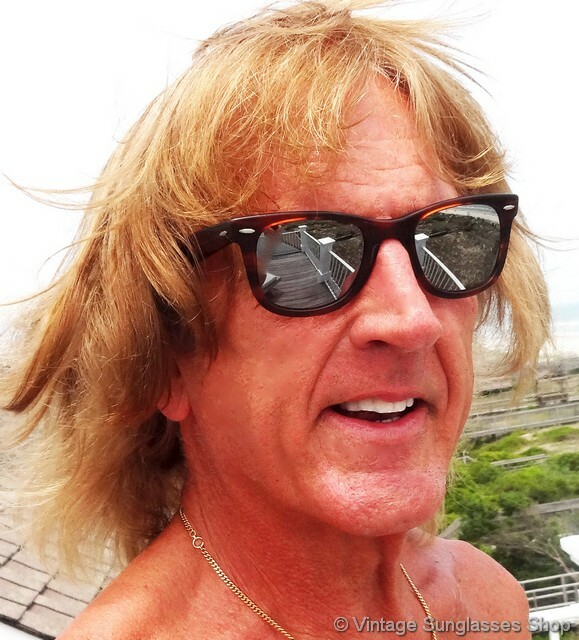 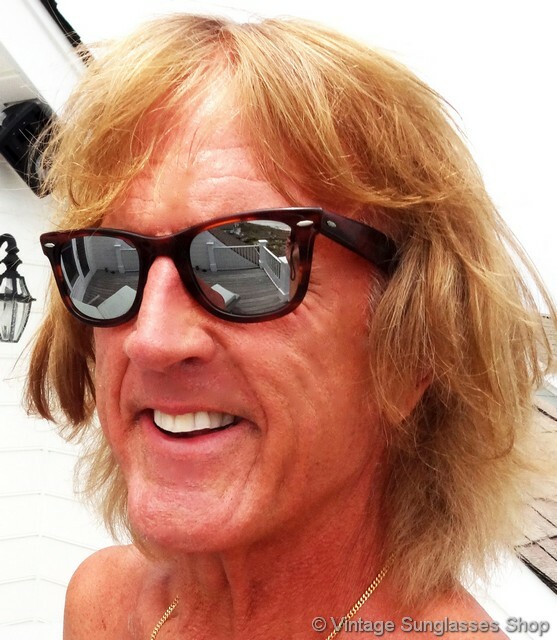 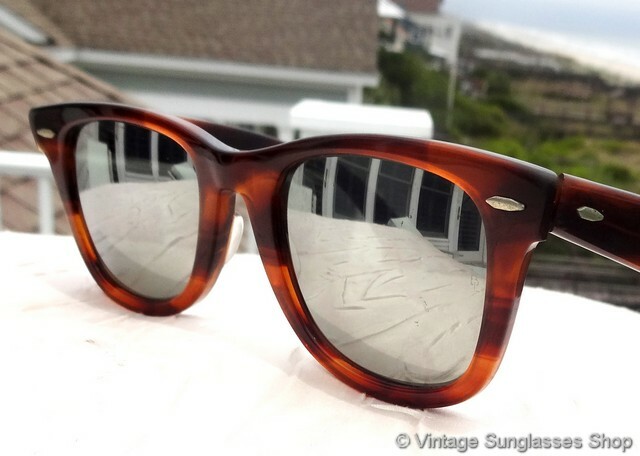 Don't be fooled by fakes of B&L Ray-Ban mirrored sunglasses - you can trust that these have passed all of our stringent authenticity and condition checks and come to you from the collection of a well known sports figure. 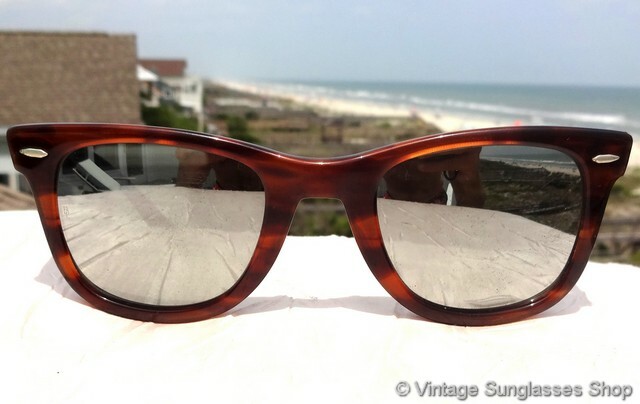 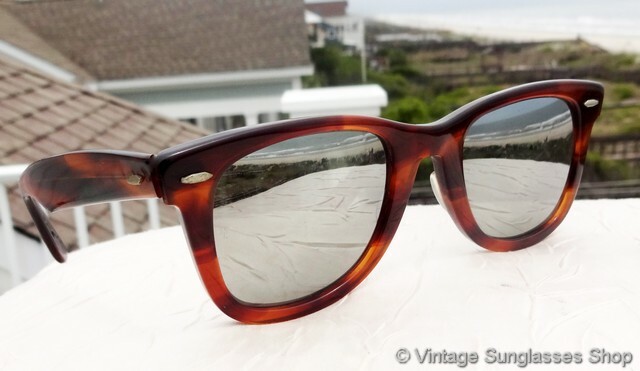 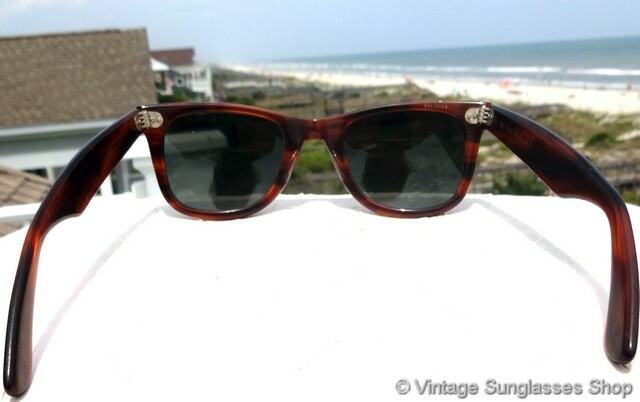 Vintage B&L Ray-Ban 5024 mirrored Wayfarer sunglasses are identical in appearance but are just slightly larger at 24mm across the nose bridge versus 22mm in the 5022 and both have identical 50mm mirroredlenses. 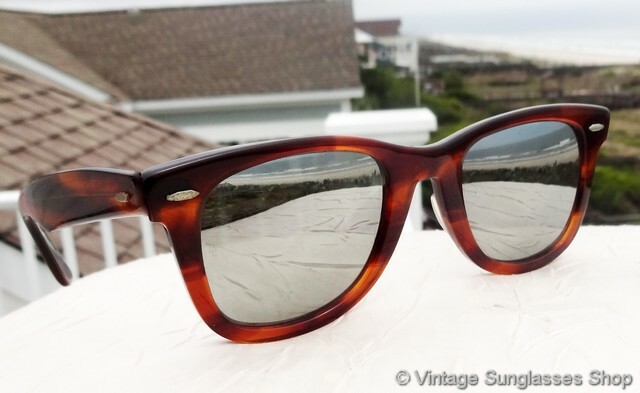 The frame approximately 5.675" temple to temple with lenses measuring approximately 1.875" x 1.75" at the widest points; the rear of the frame is impressed B&L 5024 above the right lens.